Ian Fleming’s original novels see Bond as a heavy smoker, puffing away on between 60 and 70 cigarettes a day. We’re not quite sure how Bond can perform the impressive action-packed moments as he evades his assailants when he has the lungs of a man who smokes three twenty-packs a day, but we won’t question it! When smoking in his native England, Bond enjoys a cigarette custom-made especially for him; Morland cigarettes rolled with a Balkan-Turkish tobacco mixture that contains extra nicotine. These intense cigarettes also feature three golden bands. While off on his adventures, Bond is known to stray from his favourites and turn to other smokes to keep up his habit, even smoking a few cigars in the process! In the films, Bond is not seen smoking anywhere near this amount of tobacco, quitting his sixty-a-day habit for the occasional smoke break. Out of the 26 Bond films that have been released, only 11 feature smoking. Smoking in Bond films was at its peak during the 1960s, when over 83% of the films released in that decade featuring 007 enjoying a smoke. 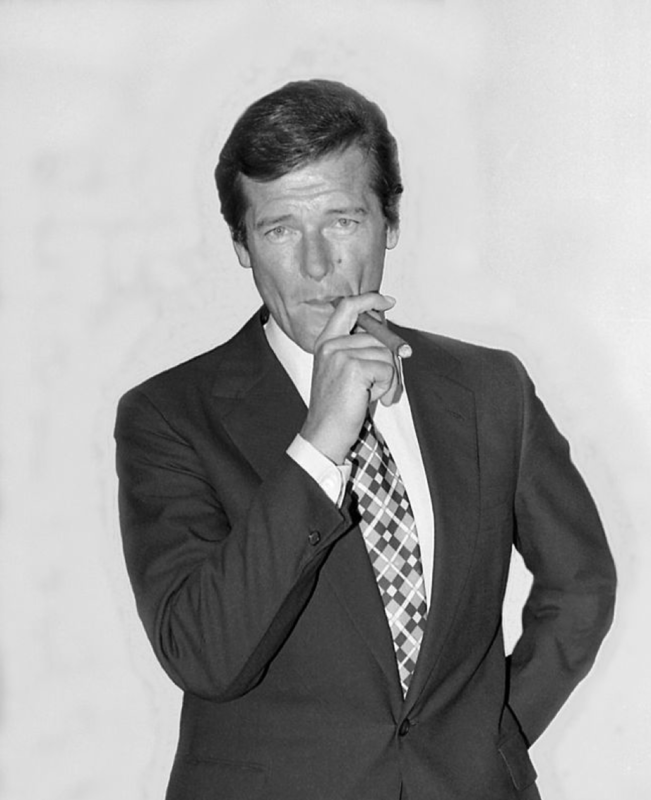 While cigarettes were the choice for Sean Connery, Timothy Dalton and George Lazenby, real-life cigar lover Roger Moore made his Bond a stogie smoker and was only seen with a cigar between his lips. Moore was clever enough to add a clause into his contract that granted him an unlimited supply of Montecristo cigars while on set, which is said to have run up a bill ‘in the thousands’! As well as smoking cigars in some of the 007 films, Bond has also been known to use cigars or cigar-related items as handy spy gadgets. In Thunderball, for example, a cigar tube is used as a disguise for an underwater breather. Moore’s Bond also uses a lit cigar to create a flame from a hairspray can to use as a weapon against a snake in Live and Let Die! If you would like to enjoy cigars like James Bond (hopefully without any snakes or having to fight for your life!) why not check out our 007 Cigar Selection?! A man wanting to be as impressive as the infamous spy needs an equally impressive collection of cigars, and we have selected some of the very best to suit all cigar lovers tastes. Featuring the Cohiba Robusto, Montecristo Churchill Anejados, Partagas Presidente and the Punch Punch Casa Del Habanos Cigar, you’ll be presented with the perfect mixture of full-bodied and milder smokes from Cuba, some providing a quick smoke, while others offer a longer time with your cigar, allowing you to properly relax after a hard day saving the world! This entry was posted in Cuban Cigars, The Cigar Blog and tagged 007, books, films, james bond, smoking.